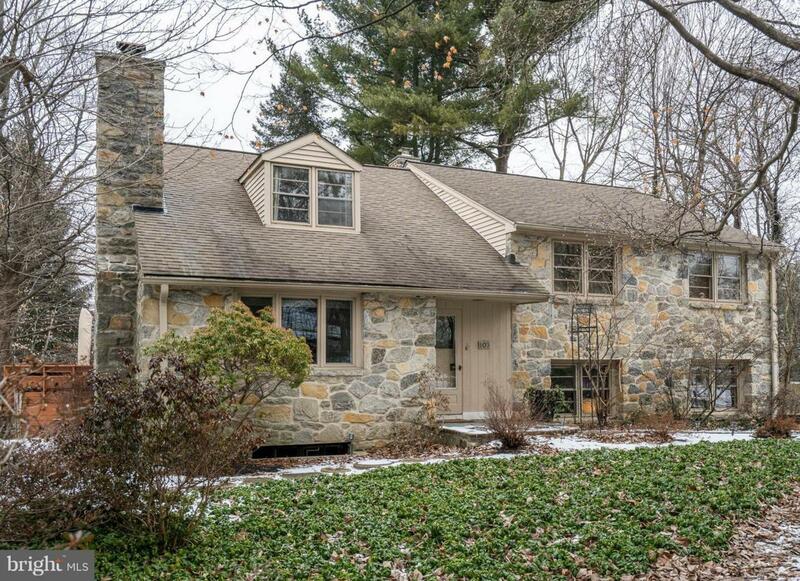 Welcome Home to this charming 4 Bed/3.5 Bath with mid-century flair located on a quiet cul-de-sac in Bala Cynwyd. Custom built in 1955 for the builder himself, you~ll find unique, well thought out features throughout. From the slate entry hall with two large closets, 1 perfect for kids, enter into the sun-drenched open concept Living space and Kitchen, ideal for entertaining. The Living Room with wood-burning fireplace has stone surround, hardwood flooring and seamlessly flows into the Dining area which features amazing built-ins (perfect china cabinets), slate flooring and bar. 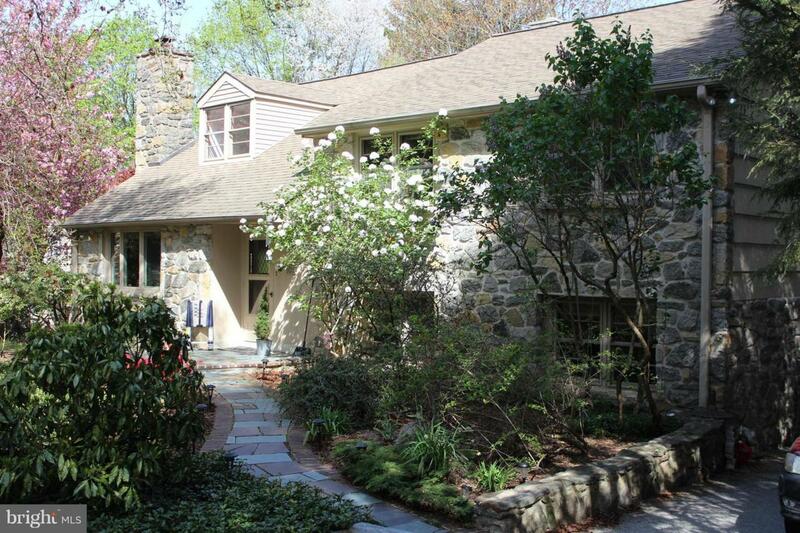 Enjoy the serene and private outdoors on the enormous wood deck with built-in benches. The gourmet gorgeous Kitchen boasts granite countertops, Viking Professional 6 burner stove with griddle and double oven, Subzero refrigerator, built-in microwave, abundance of beautiful wood cabinetry including a large pantry and separate broom closet, peninsula with seating for 4, recessed lighting and tiled flooring. The floating staircase leads to the second level. The Master Bedroom offers 2 outfitted closets, hardwood flooring and Master Bathroom with granite- topped vanity, seamless glass shower, and tiled flooring. Two additional bedrooms, one with a full wall of closets and the other with built-in desk, bookcases and drawers, a tiled hall Bathroom with tub and hall closet complete this level. Stairs lead to spacious Bedroom # 4 with En-Suite Bathroom. This expansive home features a large Lower Level Family Room with built-ins, hardwood flooring, an office, laundry room, powder room and outside entry. The unfinished Basement is perfect for storage. 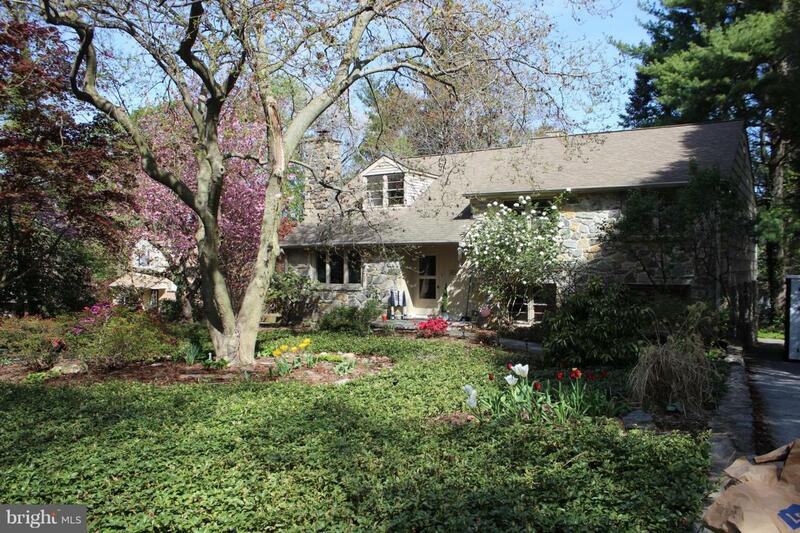 With .23 acres of professionally landscaped gardens and 30 species of perennial bushes, well maintained front and side yards, low maintenance and beautiful all year round, this is truly the ideal bucolic setting. 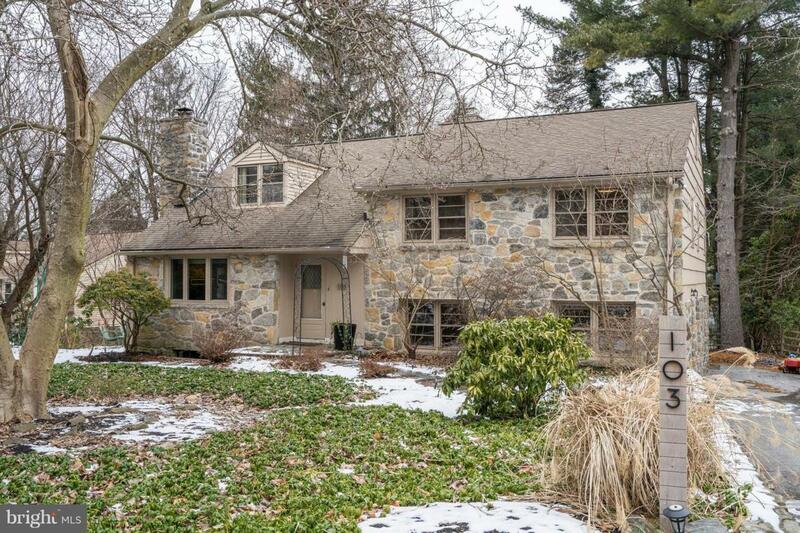 Easily walkable to Cynwyd Elementary and Bala Cynwyd Middle School in the award winning Lower Merion School District, close to train, Heritage Trail, restaurants and shops, short drive to Center City.